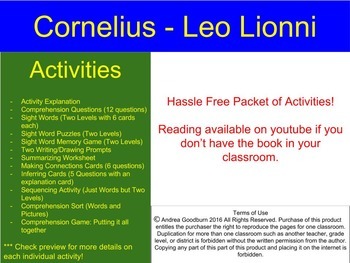 This is a packet to go along with the book Cornelius by Leo Lionni. 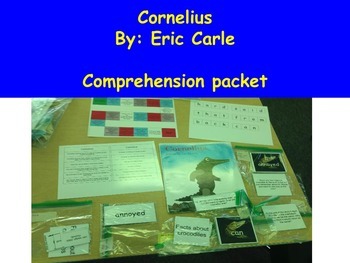 The packet includes comprehension questions and sight words. 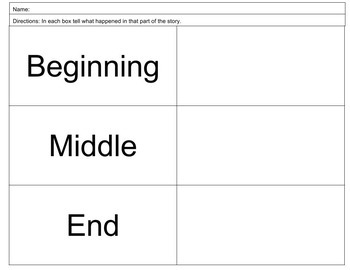 It includes a making connections and inferring activities. Please view my preview to see all activities. All activities are hassle free and just need to be cut and laminated (if desired). I use this as one of my 15 minute morning centers with students that have special needs. We use the same book for one week and rotate the activities. 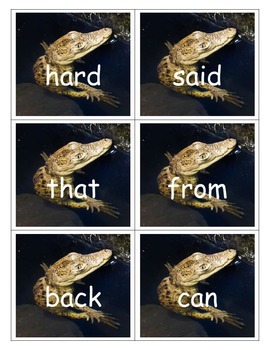 These can easily be done as literacy centers in general education lower elementary rooms (k-2). *** Check preview for more details on each individual activity!